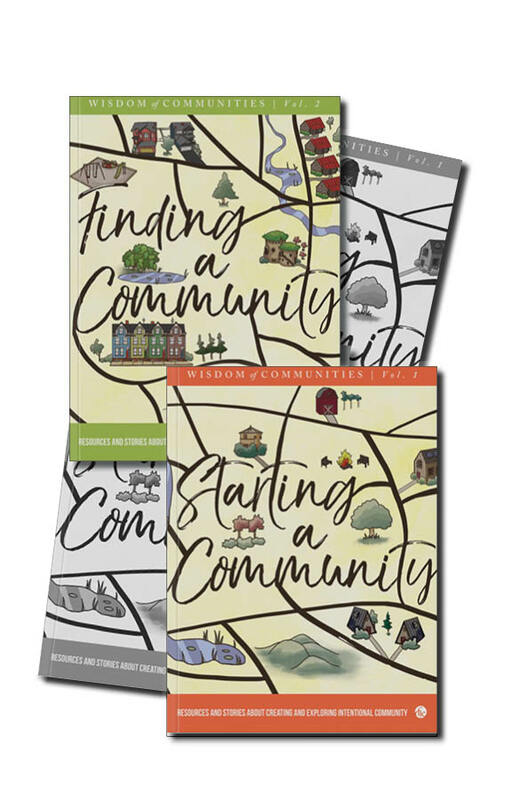 Now you can add the Complete Set of the Wisdom of Communities to your shelf. This series is intended to aid community founders, seekers, those living in communities, students, and researchers alike in their explorations. 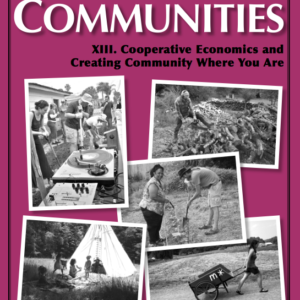 Volume 1 – Starting a Community: Resources and Stories about Creating and Exploring Intentional Community includes both general articles and on-the-ground stories from intentional community founders and other catalysts of cooperative efforts. 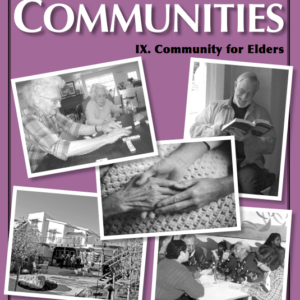 Volume 2 – Finding a Community: Resources and Stories about Seeking and Joining Intentional Community is a response to the reality that many searches for intentional community fizzle out due to lack of adequate information, guidance, or exposure to fellow travelers’ stories. 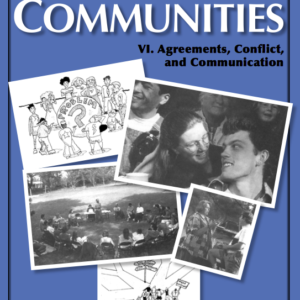 Volume 3 – Communication in Community: Resources and Stories about the Human Dimension of Cooperative Culture includes articles about decision-making, governance, power, gender, class, race, relationships, intimacy, politics, and neighbor relations in cooperative group culture. 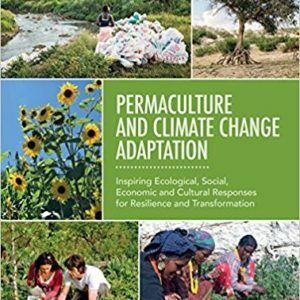 Volume 4 – Sustainability in Community: Resources and Stories about Creating Eco-Resilience in Intentional Community focuses on food, water, shelter, energy, land, permaculture, ecovillage design, eco-education, and resilience in cooperative culture. Check out the video on the Kickstarter campaign that made this series possible.